Although the iPad/iPhone microphone is not bad enough and it is enough for recording from a voice recorder and shooting video. But if you use your gadget as a semi-professional voice recorder or video camera, you need a good external microphone. Thanks to an external microphone, you will take audio and video recordings to a new level of quality. 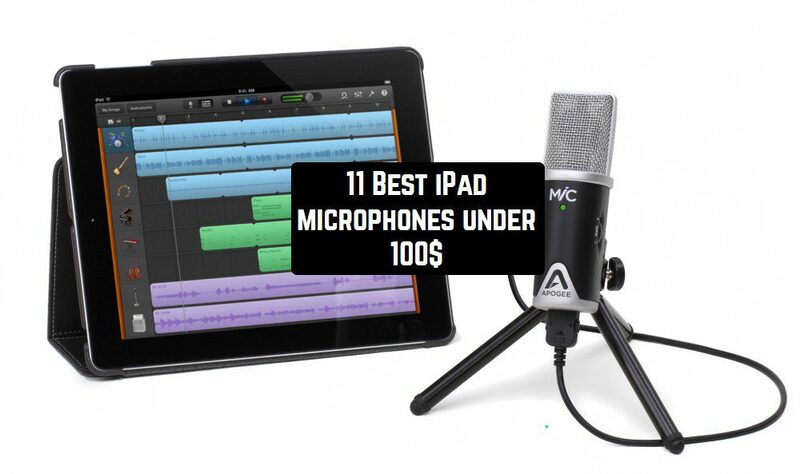 Today we will tell you about 11 Best iPad microphones under $ 100. This high-quality directional microphone with your iPad will show the results of professional video cameras! 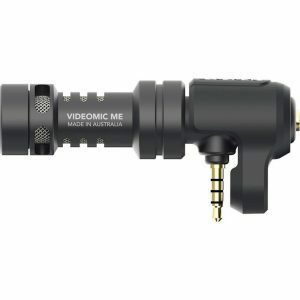 Rode VideoMic is compact and lightweight, so you won’t feel that after installing this accessory, your iPad has become cumbersome. 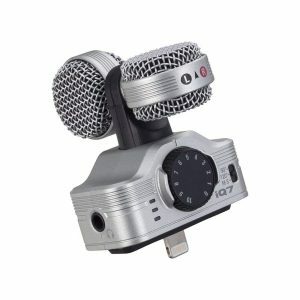 If you are looking for something small and inconspicuous, then this microphone is perfect. Because of its small size, it can even be stored in the small pocket of your bag. VideoMic connects directly to the device’s headphone jack, and if you need to, you can plug in headphones. It costs less than $ 100, but this is a professional microphone and it is worth the money. In the heart of the IXY, there are two cardioid capacitor capsules, fixed at a perfect angle of 90 degrees, they record a realistic sound. 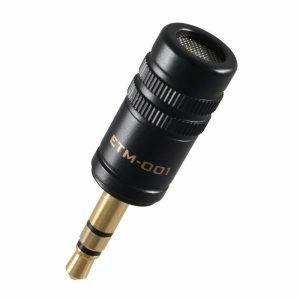 Wind protection for outdoor recording, as well as a protective case are included with the microphone. Rode IXY Condense is connected via the Lightning connector. The price of IXY, of course, is impressive, but for the quality of sound that this microphone records, it is not a pity to pay such money. Zoom iQ7 – maybe small, but gives everything you need to go from the category of viewers to the category of semi-professional operators. IQ7 has two microphones. The first one is directional, it records that sound where it is directed, and the side mic records the sounds of the environment. Both microphones can be rotated, depending on need. Set it 90 degrees to focus directly on the interview, or roll over 120 degrees for a wider soundstage. You can also download the free HandyRecorder program from the App Store, which will add functionality and management of your records, as well as edit and modify them. 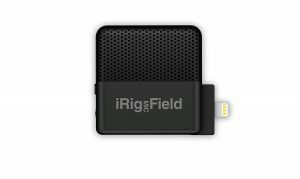 Just connect the IK Multimedia iRig MIC Field to the iPhone’s Lightning connector port, and you can immediately make a high-quality sound recording in stereo! 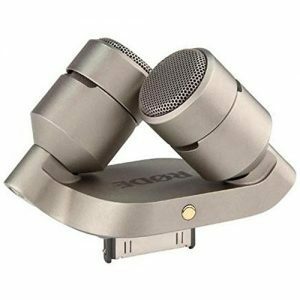 This pocket-sized digital stereo microphone works with most iPhones and iPads and is intended for recording video and audio recordings. The built-in headphone jack allows you to monitor the recording in real time so that you can monitor any recording in real time. 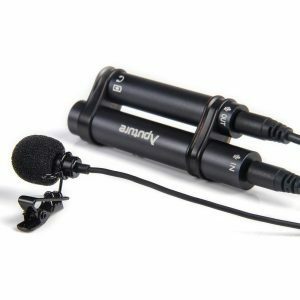 The Aputure A.lav microphone is a buttonhole designed to provide studio sound quality in portable devices, iPhone and Android smartphones, as well as iPad and any other recorders. The equipment here is gorgeous. Above there is a sound amplification unit, which has a built-in battery that supplies additional power to the microphone. This is necessary in order to reduce the amount of noise and increase the volume of the sound at the output. It has 3 3.5 mm connectors. Recorded sounds can be immediately sent to someone, downloaded to DropBox or transferred via SHAREit. The only drawback is that you cannot adjust the sound settings during recording, for example, increase its volume (recording level) or change the format – iPad has a minimum of settings. To solve this issue, you will have to use third-party applications from the App Store. For example, ALONDictaphone. 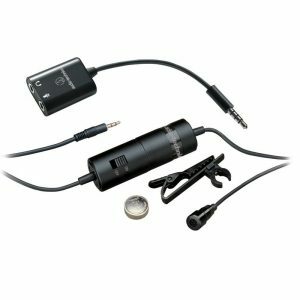 The Audio-Technica ATR3350iS is a high-quality lavalier condenser microphone with an omnidirectional diagram for use with camcorders and smartphones, iPads. It is used for high-quality voice recording and is ideal for video shooting, as well as for fitness instructors. Its low-profile design implies the most inconspicuous mounting on clothes, and a cable 6 meters long is great for recording at a distance. A stereo 1/8 ”minijack connector (3.5 mm) is suitable for a video camera, and a complete adapter will help connect a smartphone (Android or iPhone). The kit includes windscreen, battery LR44, and tie clip. Blue Mikey is a stereo microphone for iPad and iPhone. Blue introduced a new version of its Mikey microphone, which permits you to turn your iPhone into a voice recorder with good recording quality. There are many applications to make a simple voice recorder from the iPhone, but the recording is not of very high quality due to the fact that the iPhone/iPad itself has a microphone for speaking and not for recording sound. 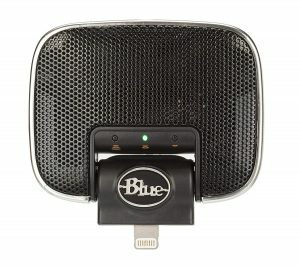 Blue immediately developed an application and a stylish microphone for the iPhone in order to achieve high-quality recording and convenient use. Such a thing would literally record everything, from loud concerts to whispers. Lecture recording, voice notes, live music, interviews and more. BOYA BY-A100 is an external microphone designed specifically for the Apple iOS iPhone and iPad. 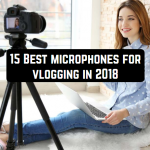 The microphone has a very compact size and is easy to transport, but it also records a higher-quality sound than the built-in microphone of a smartphone or tablet. The microphone does not need additional power, for work it is enough to plug into the 3.5mm jack for headphones. 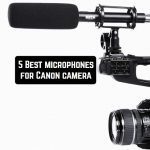 The body of the microphone is made of durable, lightweight aluminum alloy and has a rotatable construction, thanks to which you can direct the microphone both to itself and in the opposite direction. The microphone also supports smartphones and tablets on the Android platform. 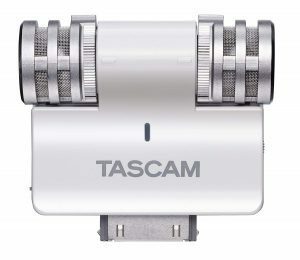 Tascam iM2W is designed for use with Apple’s iOS devices: iPhone, iPod, or iPad. Together with recording applications, a pair of condenser microphones makes it possible to record using a mobile device – just connect the iM2W to the dock connector of your device! For a more accurate location relative to the sound source, the iM2W rotates up to 180 degrees from the front side to the back panel. Due to the out-of-the-line diagram of microphones located in an AB pattern, a detailed stereo picture is provided when recording the sound indoors. The iM2W has a built-in mic preamp and a low-noise analog-to-digital converter. The device can handle signals up to 125 dB without distorting the sound. The IM2W also has a stereo limiter, which mutes a very loud signal. The knob on the side panel allows you to quickly adjust the microphone volume. IM2W is powered by your gadget, but you do not need to interrupt a long recording session to charge the device since the microphone has a USB connector for charging from a computer or adapter. Regardless of whether you record live sound, songs using the app, record rehearsals, or collect sound effects. The iM2W is easy to use and has a reasonable price. IK Multimedia iRig Mic is a vocal-instrumental handheld microphone for connecting to an iPhone, iPad or iPod Touch and works with the iRig Recorder and AmpliTube apps. 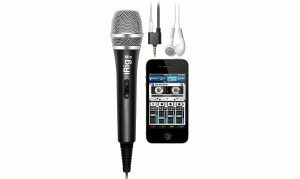 iRig Mic can be used for performing songs in the halls and performing karaoke, as well as for recording vocals with processing. The microphone has a three-level sensitivity adjustment. The iRig Mic – VocaLive Free microphone application is used to process voice in real time. With this application, you can process the recorded voice and add a variety of effects: reverb, echo, tone change, chorus, frequency control, add voices and others. iRig Mic has a cable length of two meters and you can move freely with a microphone in your hand. This iRig Mic has an adapter with an output for connecting headphones or a mixer. The microphone was designed for musicians of any level, from professionals to amateurs, including karaoke. iRig Mic is a universal microphone that can be used for various purposes: recording interviews, podcasts, recording vocals, and music. Edutige presents a new miniature microphone for the iPad. By connecting it to the device, you can record the voice, as well as any other sounds from the environment. The accessory is called i-Microphone. 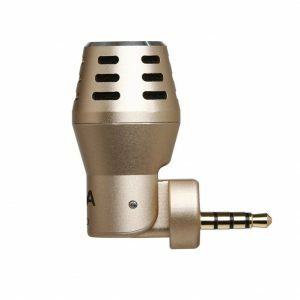 It is based on a high-quality, non-directional microphone. In addition to the iPad, the new microphone can also be used in conjunction with the iPod Touch 2/3G, iPod Nano 4/5G, iPod Classic 120/160GB, MacBook, MacBook Pro, and MacBook Air. If you find a microphone that is ideal for shooting on iPad, write about it in the comments below, we will look at it!